WHAT IS DESIGN?—We don’t much go for hyperbole at End of Work, but it’s fair to say over recent years there’s been an explosion of interest, debate and interpretation of what “design” is, offers and means. So, as one of Sydney’s more established brand + design consultancies, it’s worthwhile to take the time to define what exactly “design” means to us and its outcomes for our clients. At end of work we define design as a considered approach to understanding and problem solving that delivers better outcomes for users and clients. – a more engaging approach to work for employees. The fact is that the tools offer a Swiss Army knife-like ability to break down complex problems and offer up solutions that simply and appealingly work. We define “design” quite simply: “a considered approach to understanding and problem solving that delivers better outcomes for users (those interacting with the design) and clients (those who sponsor the design)”. Defining design has engendered lots of lively debate, and as John Pavlus observed on fastcodesign.com, the act “starts to seem like measuring a coastline: the ‘true’ edge always recedes”. Ours doesn't claim to be a comprehensive definition, but — like all good design — it's one that’s perfectly fit for our purposes. So, that's the definition. Now, to the elements required to come up with an elegantly effective solution. 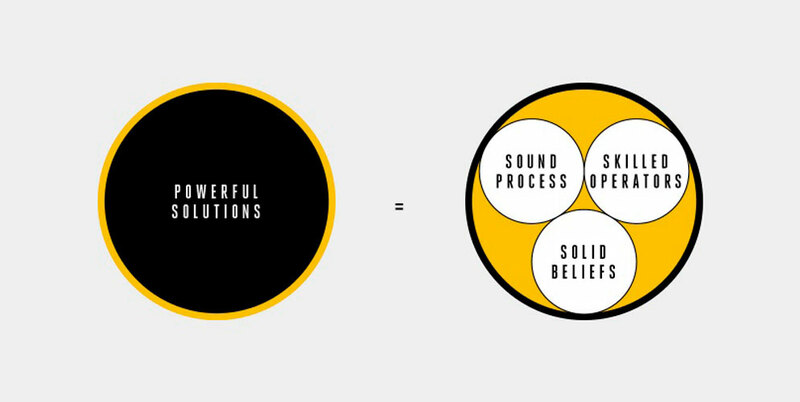 For us, belief is as critical to how we approach our work as it is to outcomes that clients realise through the process. For some clients that’s frustrating (“I love, love, love your approach! Really. But can I just have the solution?”). But our established clients have come to welcome it. (Really!) We think that the process we use is key to this. But our approach is easier to understand and appreciate when informed by our key beliefs. For us, they’re pretty simple. No surprises. But essential. It’s our belief that brilliant ideas are the lifeblood of successful businesses. As a result, we are in constant pursuit of solutions that distinguish brands in the marketplace, enhance value and change the way people think. We thrive on creating Ideas for Organisations™. Not that kind. We believe great outcomes come from an open, empathic collaboration developed between End of Workers, clients and stakeholders. Another way of putting it is that solutions authored with clients = better solutions. That means spending time with clients and customers in a way that goes beyond the usual, and in effect the solution is co-authored. We only work with a client’s world as a place that welcomes new ideas, rather than a hostile environment that punishes change, and we care profoundly about impact. Our ethos is to do meaningful work. We really believe this is critical to delivering something exciting, wonderful, effective and truly great. At its very essence, design is about improving on the status quo. We know today’s awesome is tomorrow’s obvious. 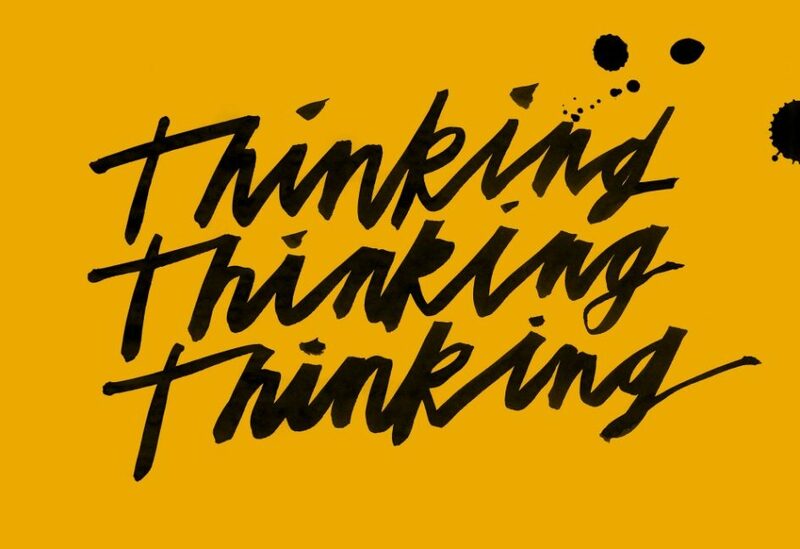 As clients increasingly accept the power of considered design as a means of exploring and solving problems, it’s clear that it speaks more about an approach to creating effective solutions than something that narrowly defines the outcomes of the process. We’re as reliant on people with other attributes that are critical solving client problems. User experience, behavioural sciences, organisational design, digital and architecture.